We are now well and truly into the business stage of the FIFA World Cup 2018. 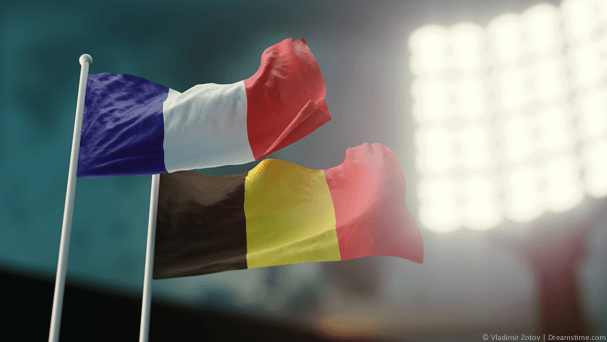 The first semi-final is a mouthwatering tie between France and Belgium, and in this article, we will tell you how to make sure you can watch the whole match live, no matter where in the world you are using a VPN app. This game looks to have it all as Belgium’s golden generation look to finally deliver on their potential. But many people have been tipping France from the beginning. So, who will manage to take the last step into the final itself? You will have to watch the match to find out. The France vs Belgium semi-final will be broadcast in the UK on BBC1. This channel is free-to-air and also included in all satellite and cable packages. As with all World Cup matches on the BBC, the game will also be streamed live on the BBC’s iPlayer streaming service. That means that any fans who can’t get to their TV can still watch the whole game on their computer, tablet, or smartphone. Unless that is, they are outside the UK. Because the BBC only has the rights to stream World Cup games inside the UK. They will therefore be deploying geo-blocking technology to stop users overseas from watching. Fortunately, if you use a VPN, such as ExpressVPN it is possible to get around this. Geo-blocking works by looking at your IP Address to determine where in the world you are connecting to the internet. 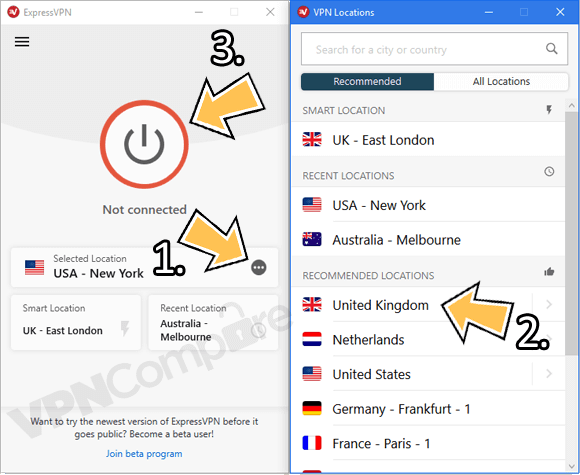 But by using ExpressVPN, it is possible to change your IP Address to a British-based one, no matter where in the world you are. It’s easy to do too. Just keep reading to see our simple -step-by-step guide. Visit the ExpressVPN website by clicking here and then press Get ExpressVPN to sign up for their service. Once you’ve signed up, go to the Products section of their website and download and install the right app for your device. Click Choose Location and then United Kingdom. If it doesn’t automatically connect, press the Connect button. Once the app has connected visit the BBC iPlayer website to stream the game. This whole process should take you no more than five minutes and once you have signed up, you are ready to watch the whole France vs Belgium World Cup semi-final live. The BBC iPlayer can be downloaded onto your on your Windows PC, Mac, Android, Apple iPhone or iPad or even your Amazon Fire TV or Fire Stick. And so can ExpressVPN, meaning you watch on almost every device. If your internet connection is fast enough, you will even be able to watch the game in high-quality 4k. When is France vs Belgium being shown? The France vs Belgium World Cup semi-final kicks off at 7 pm (UK Time) on Tuesday 10th July. If you are watching from outside the UK, you will need to check what time that is locally. The game will be played at the Saint Petersburg Stadium in (of course) Saint Petersburg, Russia. This stadium will also be hosting the 3rd/4th place playoff match, so both sides will be hoping that this will be their last visit here. For those lucky enough to have tickets, or able to watch live around the world, the game promises to be one of the most compelling of the tournament so far. France has a full squad to choose from, with Blaise Matuidi back in contention after missing their quarter-final victory over Uruguay through suspension. Belgian right wing-back Thomas Meunier is suspended for the game, and with no like-for-like replacement, manager Roberto Martinez may be forced to gamble on a more attacking replacement. France comes into the match as slight favourites, with bookies having them at 7/5, while Belgium’s odds are only a bit longer at 11/5. It’s a very tough game to call, but for the winners, the prize is the biggest in the game. A place in the World Cup Final. To watch the France vs Belgium World Cup semi-final, you will need to tune into BBC1 or watch live on the BBC iPlayer. As we have explained, the iPlayer stream will not be available outside the UK. But by signing up for ExpressVPN, and following our simple guide, you will still be able to stream the match abroad, for free. Just sign up for ExpressVPN, download their app, connect to the UK, and you can enjoy every moment of what promises to be one of the most compelling World Cup games so far. What do you think the final result will be? Let me know in the comments section below.